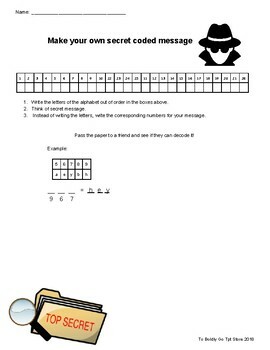 Students will create their own numerical spy code and write their own message. Then, they can share with a partner or friend to try to crack the codes! This worksheet could be a fun early finisher page, or could be used at a math station. It involves problem solving skills as well as writing and spelling skills.